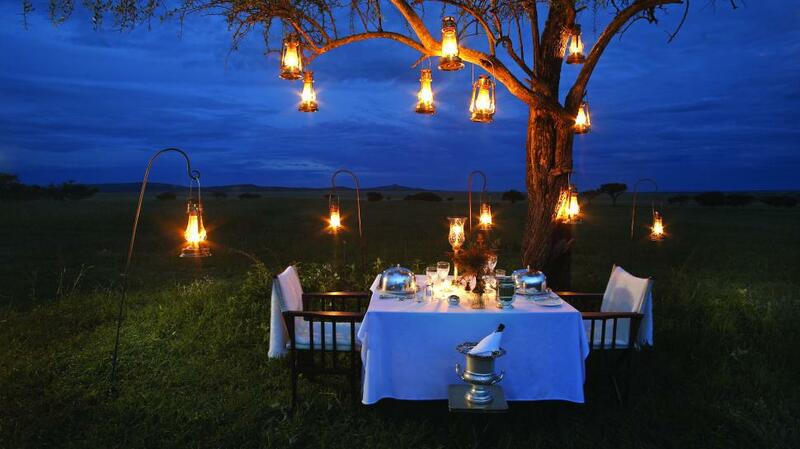 I’m ready to spend nights outside eating with the birds chirping overhead. Unfortunately, despite the announcement of Springs arrival, it has been a brisk 40o and raining. Should you also being enjoying the brisk weather, I thought it might be nice to have some inspirational pictures to tide you over with until you can enjoy the great outdoors. Whether you have a large spacious waterfront setting or a small city balcony, nothing compares to dining outside. The first setting is great for cooler weather. The fireplace is fabulous and adds some warmth. If you do not have one, check the blog post on fire pits by clicking on the link. The image below conjures images of fireflies we used to catch in the summer. 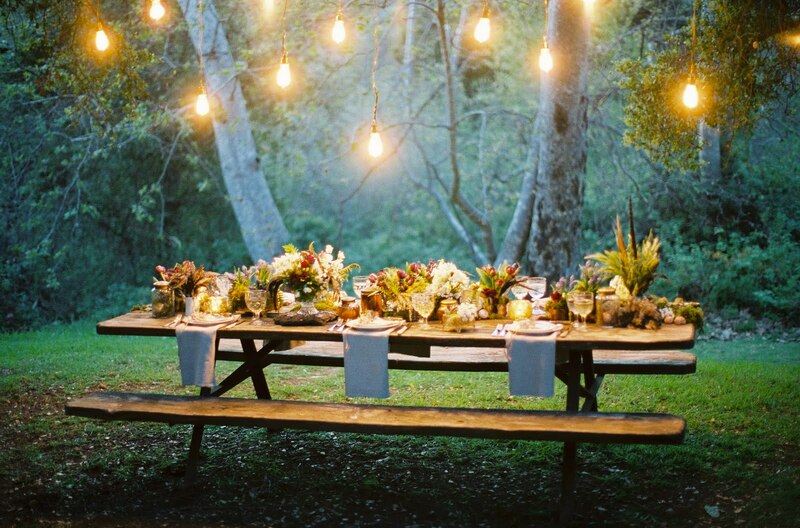 The lavish tabletop setting juxtaposed against the spare lines of a simple picnic table elevate the setting to the sublime. There is something about eating by outdoor lighting which is so wonderful, I can’t really describe it justly. The setting below is spectacular not just for the stunning backdrop of the endless horizon, but also the way the illuminated tree just beckons you closer. 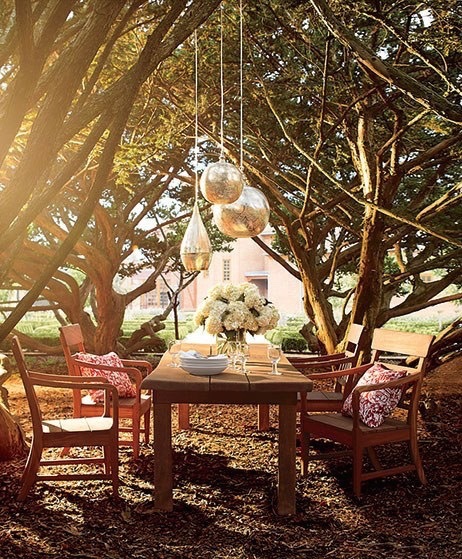 Even if you live in the city, you can also have an intimate setting. 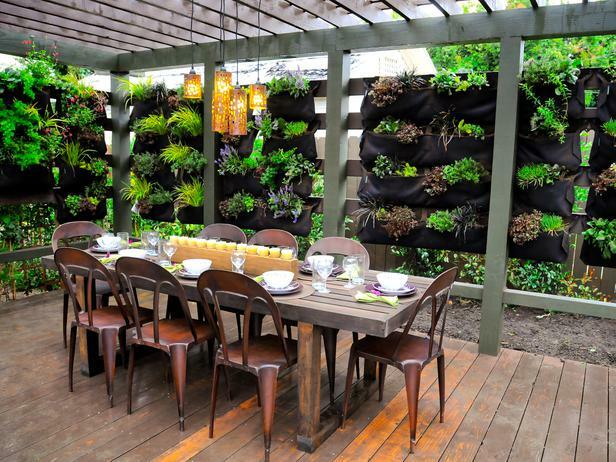 Below, plantings on a nontraditional wall bring the warmth and color of nature to you. 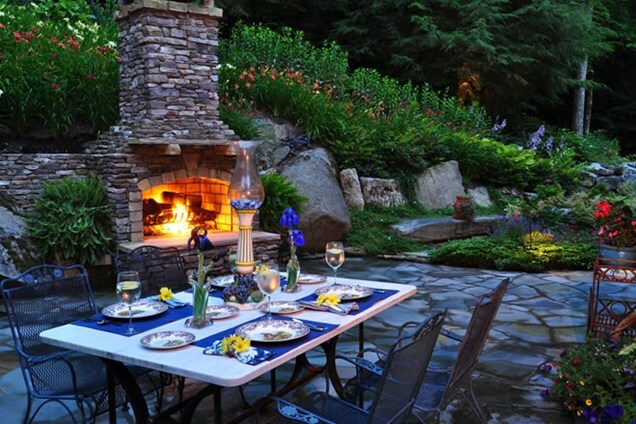 We’ll discuss how to make your own personal outdoor dining area soon. For now, it’s time to put out the fire, pull out the extra blanket, and call it a night. Feature image from Architectural digest of filmmaker M. Night Shyamalan’s Pennsylvania estate, Ravenwood. Others in order from landscaping network.com. Dining by lightbulb outdoors from Disqus.com. Kiwi collections hotel. Our boathouse.com. I will gladly take any of these settings. They are gorgeous! Any suggestion for outdoor lighting? Do you prefer string bulbs, mini mason jars, or something else? Certainly, watch for ideas in an upcoming post. Good ideas preparing for an enjoyable spring.